Ahead of the December 4 primaries, a governorship aspirant on the platform of the All Progressives Congress (APC) in Lagos State, Mr. Akinwunmi Ambode, at the weekend, ended his consultation with relevant stakeholders on his ambition. While pledging to operate an open-door policy if voted as governor next year, Ambode also rallied support for the APC at the grassroots and urged party faithful and leaders in all local councils to embark on a house-to-house campaign in order to secure a landslide victory for the party in the 2015 general elections. 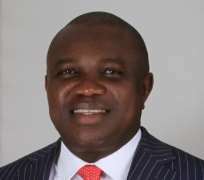 He gave the charge at a meeting in Ikoyi with leaders of Lagos Deserves More Campaign Group after his consultation tour of 20 local governments and 37 local council development areas (LCDAs) in the state. At the meeting, the governorship aspirant promised to respect diverse views and interests if he emerges as the party's flag bearer and elected the governor of the state in the next governorship election.